Comment: We have 4 windows and 1 sliding door where the screens are damaged or missing and likely need to be replaced altogether. The kitchen window and one of the bedrooms are on the smaller side, the other 2 windows are larger, but typical sizes. We also need to replace one screen door. The screens are all on a second floor condo unit. With the door and at least one window accessible from both sides without any potential ladder needed. All can be accessed from the inside. We would like to complete this next week if possible. 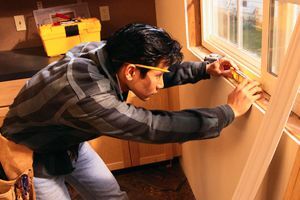 San Jose Window Replacement Companies are rated 4.65 out of 5 based on 528 reviews of 28 pros. Not Looking for Windows Contractors in San Jose, CA?